Since mid-April, an enthusiastic group of 27 men has been meeting on Tuesday evenings in the Visit Room at Clallam Bay Corrections Center to study the basics of Nonviolent Communication (NVC). Freedom Project volunteers Kevin and Megan (pictured at right) are in the prison every week facilitating exercises and discussions with these eager students. During class, participants share the impact of NVC on their lives and on the lives of their families and loved ones on the outside. At the end of each session, outside volunteers and prisoners alike take time to express their appreciation for how they have benefited from the class. Six weeks ago Jenny, a Freedom Project intern, and I had the privilege of joining Kevin and Megan at the prison, to meet the men in the class and to answer questions about Freedom Project programs in other Washington state prisons and in the community. Since then Jenny and I have delighted in conference calls with Kevin and Megan, as they reflected on the highlights and challenges they face in class each week. This work would not be possible without the commitment of local volunteers. Hats off to Kevin and Megan for sharing this work. And thanks to the financial contributions from Freedom Project supporters, each student has a copy of Marshall Rosenberg’s book, so they can study the material in their cells between classes. 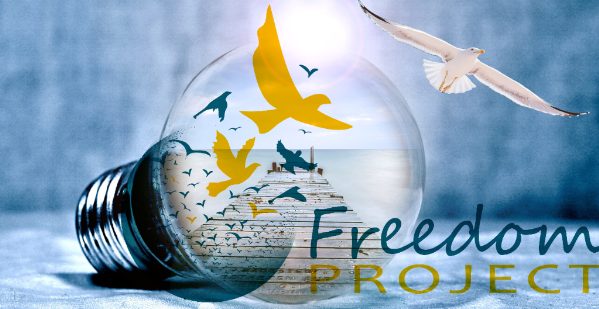 This is just the beginning of Freedom Project expansion plans. Stay tuned!